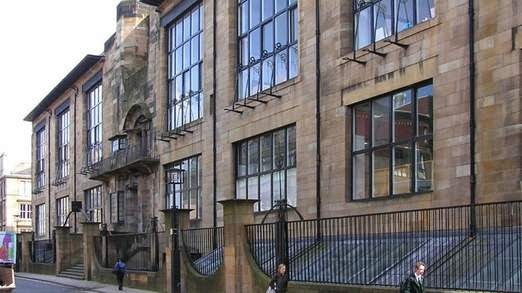 There's been a better outcome than was expected: most of the Glasgow School of Art's structure, and about 70% of its contents, have been saved from yesterday's devastating blaze. Sadly, the stunning Art Nouveau library has been destroyed, but the archives have been saved. 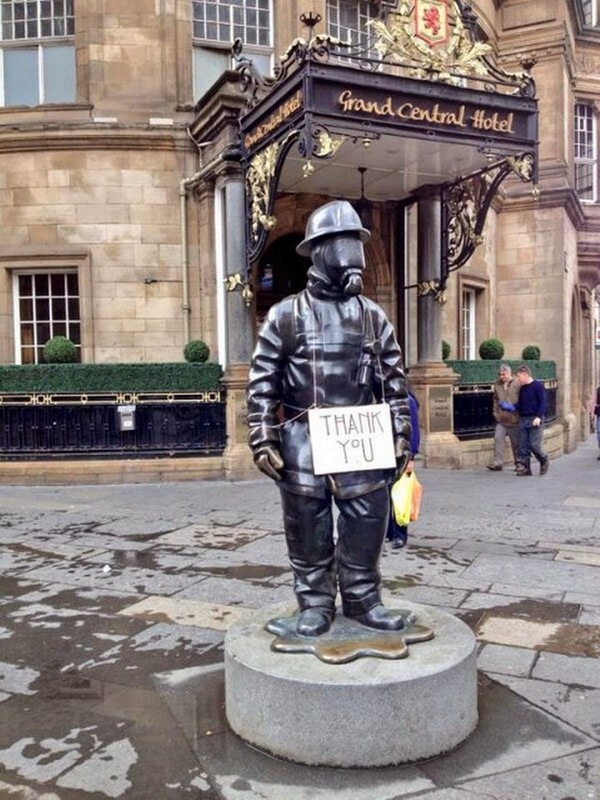 Firefighters battled flames throughout the day, with tremendous consciousness of the cultural significance of the building, and are to be highly commended for their heroic efforts. Assistant Fire Chief Officer Dave Boyle said: "Crews have been working absolutely flat out throughout this very challenging incident, and it is clear their effort and skill has saved this treasured building and many of the items it housed. 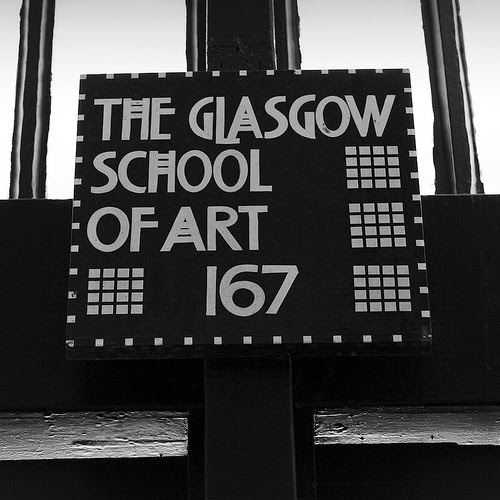 While the priority from the outset was to save lives, we have also been working closely with GSA's staff to ensure firefighters conducted an effective salvage operation..."
"We are very conscious that the Mackintosh-designed school is a world renowned building and a key feature of this great city, and that the artworks it stores are not only valuable but also cherished."